Journal of Tourism and Hospitality (JTH) provides the rapid bimonthly publication of articles in all areas related to Tourism and Hospitality. JTH welcomes the submission of manuscripts that meet the general criteria of significance and scientific excellence. The scope of journals includes articles related to Adjectival Tourism, Creative Tourism, Domestic Tourism,Hospitality,Economy, Ecotourism, Educational Tourism, Experiential Tourism and many more. As a member of Publisher International linking Association, PILA, Journal of Tourism and Hospitality (Longdom Publishing) follows the Creative Commons Attribution License and Scholars Open Access publishing policies. Journal of Tourism and Hospitality is the Council Contributor Member of Council of Science Editors (CSE) and following the CSE slogan Education, Ethics, and Evidence for Editors. Journal of Tourism and Hospitality editorial policy that encourages researchers to submit the original research, reviews and editorial observations as articles, well supported by tables and graphic representation. Journal of Tourism and Hospitality is organized by Longdom Publishing, a self supporting organization and does not receive funding from any institution/government. Hence, the operation of the Journal is solely financed by the handling fees received from authors and some academic/corporate sponsors. The handling fees are required to meet maintenance of the journal. Being an Open Access Journal, Journal of Tourism and Hospitality does not receive payment for subscription, as the articles are freely accessible over the internet. Authors of articles are required to pay a fair handling fee for processing their articles. However, there are no submission charges. Authors are required to make payment only after their manuscript has been accepted for publication. Journal of Tourism and Hospitality is an Open Access journal accessible for free on the Internet. With Open Access, Publishing Group allows us to distribute knowledge more widely and at a lower cost than was previously possible. However, to cover the editorial services and production of an article, the journal depends on the Article Processing Charge (APC). NOTE: When the final formatted manuscript will be accepted from the editorial office and before publication, the author or institution will be charged with the publication fee. Also, for the final formatted manuscript, withdrawal request will not be accepted without payment of full publication fee. 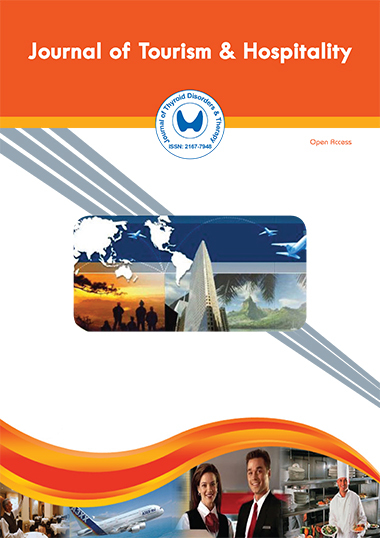 Journal of Tourism and Hospitality Science is an open access journal. Each article published by the journal follows a specific format. All works published by Journal of Tourism and Hospitality (Longdom Publishing) are under the terms of the Creative Commons Attribution License. This permits anyone to copy, distribute, transmit and adapt the work provided the original work and source is appropriately cited.